B.Sc., C.S.C.S., P.I.C.P., P.N. Level 1, Level 2 ART Provider. * Bachelors Degree in Exercise Physiology from William Paterson University. * United States Weightlifting Federation Level 1 Club Coach. * Poliquin International Certification Program P.I.C.P. Level 1 Coach. * A three-time intern with world-renowned strength coach Charles Poliquin. * Level 1 Certification in Advanced Flexibility Techniques for both the upper and lower body from the American Institute of Flexibility Sciences. * Level 2 Active Release Techniques Soft Tissue Management Provider in the Upper Extremity, Lower Extremity and Spine with over 10 years experience. * Frequency Specific Microcurrent Therapy Sports Injury Certified. * Along with the above degrees and certifications, Kevin spends countless hours a year attending numerous seminars across the country by the most elite level doctors and coaches in their prospective fields such as, Dr. Jeffrey Morrison, Dr. Eric Serrano, Dr. Mauro DiPasquale, Charles Poliquin, Paul Chek, Charlie Francis, Loren Seagrave, Louie Simmons, Dan Pfaff, Dave Tate and Christian Thibodeau, Dr. Guy Voyer, Dr. Mel Siff, Dietrich Buchenholz and many others. This is done to keep up with the newest and most effective information in the fields of strength, speed, power, nutrition, flexibility and injury prevention. In addition, Kevin spends his free time in reading numerous journals, books, magazines and web sites to further his knowledge and development. One of our seasoned coaches at KStrength Sports Training, Ken has been with the company since his internship in 2010. Through the years he evolved his training style and principles while learning from master trainer Kevin Ensenat and studying other world-renowned coaches. Also, he applies his own life experiences from over 15 years training, including 3 worlds records in powerlifting, and numerous years competing in other sports such as baseball, basketball, track, and football. 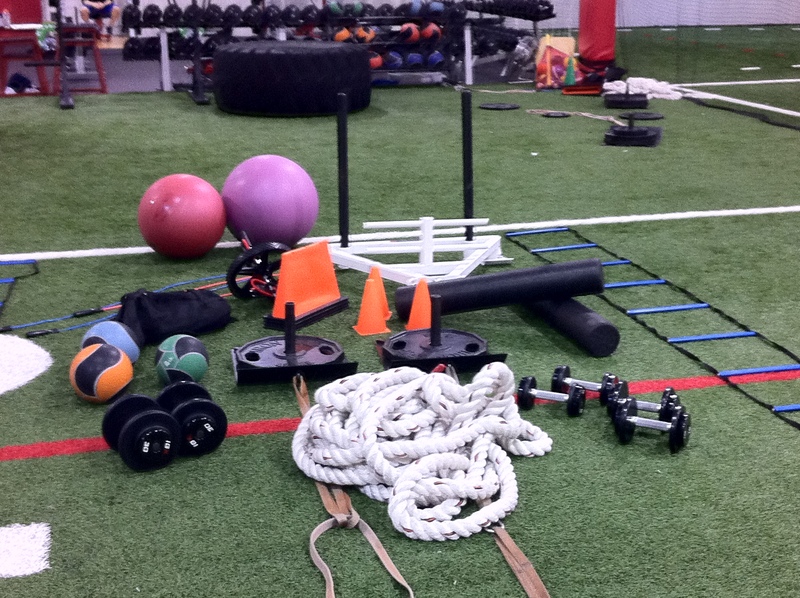 Over of the years at KStrength invaluable experience was gained by being a part of a team that trained super bowl champions, award-winning ballplayers, as well as transforming everyday people into the best version of themselves. Ken believes structure, discipline, and persistence are the keys to being successful in any aspect of life not only in the gym but outside of it. Hard work isn’t enough to achieve your goals without the sacrifice and hunger that must accompany it. Health & Fitness has always been a passion of Jazmin. Growing up, she enjoyed playing many sports, such as basketball and softball. In May of 2017, Jazmin graduated from Montclair State University with a B.Sc. in Exercise Science. At M.S.U, Jazmin was asked to participate in Dr. Tan Leng Goh’s research project called the Comprehensive School Physical Activity Program. The CSPAP measured opportunities for students to be physically active during school hours. It brought her great joy teaching second graders at Bradford Elementary School the importance of staying active while also making it fun! Jazmín has been a part of KStrength Sports Training since her internship in 2016. Since then, she has developed her training techniques under the guidance of master trainer and owner, Kevin Ensenat. Jazmin is a true believer in the importance of overall wellness. Her knowledge and congeniality will make reaching your fitness goals a pleasure.